People prefer shipping a motorhome instead of driving it in some cases because it offers a very reliable and convenient way of getting from one place to another without adding extra miles that come between them. Fueling motorhomes for a long distance trip can be pricey. This is one of the reasons people consider using a motorhome shipping company. 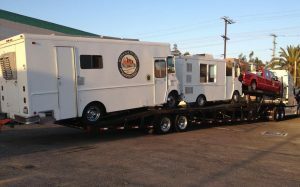 Shipping your motorhome from one place to another can be a cost-effective method. One more important thing to consider when it comes to the price of shipping. Before you contact the shipping company, make sure you have the type of motorhome being shipped, as well as its weight, location and dimensions for an accurate price estimate. While it’s useful to get the picture of a price range, consider that the price of shipping is not the only factor to make a decision. Shipping a motorhome requires years of experience, expertise, and a professional grasp of the process and requirements of vehicle transport. Indianapolis Car Transport provides an excellent customer service over the phone. Our agents are there to help you with any issue you deal with and get the estimate regarding your vehicle for free. Call us during our working hours at number (317)282-0928 and be sure we will take care of all your needs regarding the shipping process.